NOTE: Download or transfer the download file to your android phone and all should be well in paradise. However, if you have any question/s apart from the download links... don't ask me, because chances are I wouldn't know since I haven't played the game. Good Luck! btw, have you ever played this game? what kind of game this KAT-TUN's game? not a clue. i haven't played the game. Ah btw I tried the game out...I see no sign of KAT-TUN yet >< are they just like bonus characters in the game or something?? 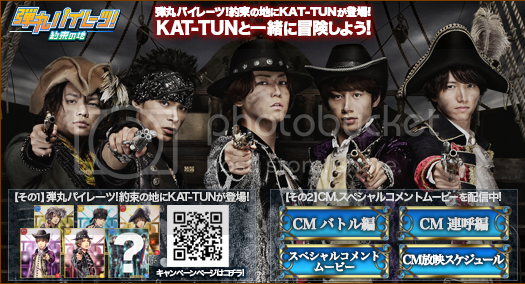 By the way are there any KAT-TUN appearances in the game?? not a clue, i haven't played the game.